Winter mornings and rising sun, one of the best climate to go for a drive. Why not, a cold breeze will surely make you feel better for weekend’s or even weekday’s morning drives. What do you expect as a companion for such drives? A car that looks good, drives good and have a punch of power for those sharp turns on ghat section or even smoother turns of the city. 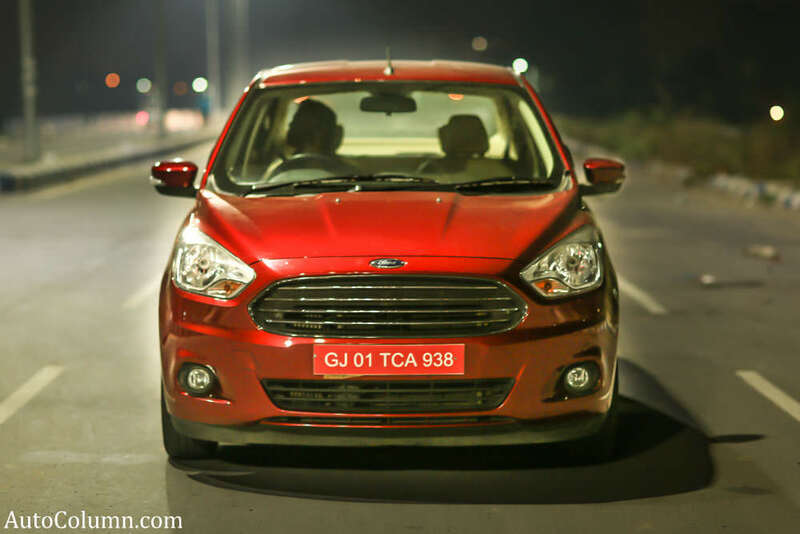 We chose Ford’s Figo Aspire that fits all these criteria. 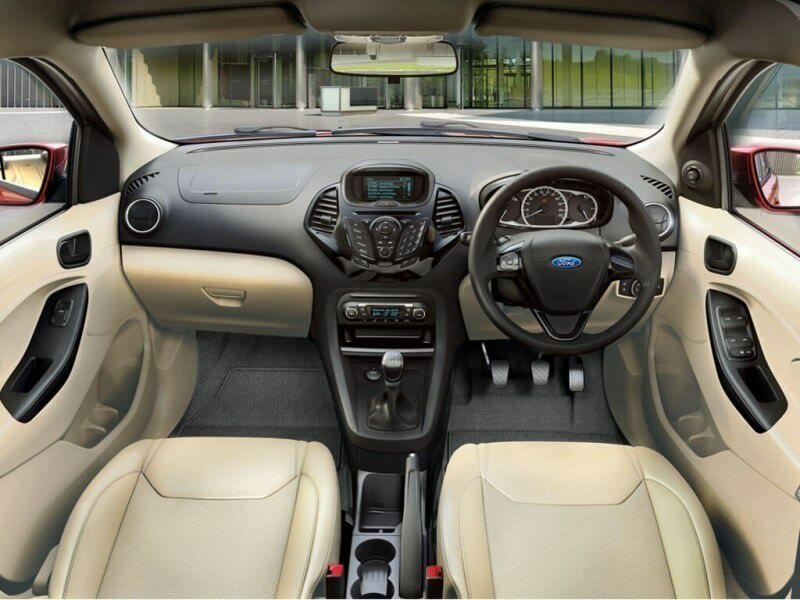 Along side the comparison was Maruti Suzuki Swift Dzire, Honda Amaze, Hyundai’s Xcent, Tata’s Zest and Ford Aspire won at start when it comes to looks and interiors space and quality. Swift Dzire is in the market for a long time and hence it was not a included of assessment in this segment. 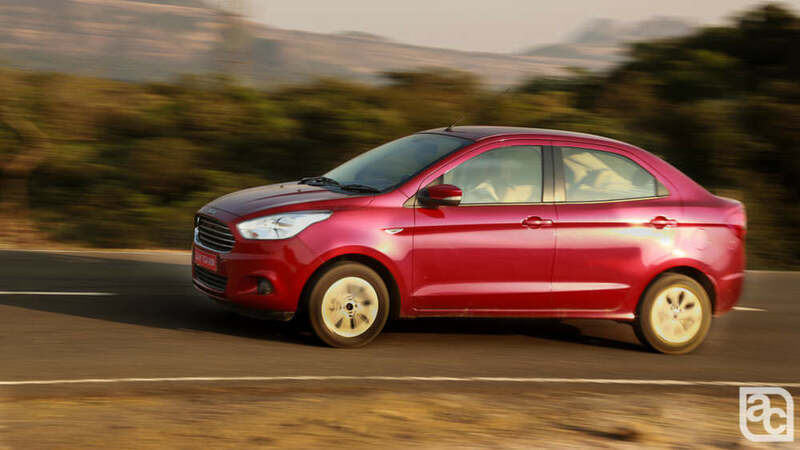 Hyundai’s Xcent and Tata’s Zest lost the battle when it came to engine size. Xcent comes with a small diesel unit that’s not really punchy for morning drives and Tata’s Zest is the same motor from Dzire. As we were specifically looking for oil burners with good powerful engines, only Honda Amaze and Figo Aspire remained in the competition. Honda Amaze has also been in the market and is very practical with diesel mill and then the tie came up when we were selecting a car to review that will go on test in our ‘Living with’ review section. Both the cars have the same specs in diesel mill, 1.5 lit oil burner with 100 bhp and even the fuel economy is more or less same. Now this poses a big challenge as to which car to choose for the review. The decision was tough till we opened the doors of both these cars and sat inside, touched the interiors and felt the quality. Ford’s Aspire feels very much premium from inside compared to Honda’s Amaze. The reason behind this is though both the cars have black and beige colour interior option, the fit and finish and small bits of Figo Aspire like piano black center console, leather seats and the overall fit and finish suddenly make Aspire winner in this competition. So we picked the Ford Aspire and chose to test it in a day to day life for checking its practicality, driveability and of course maneuverability. The compact sedan is the perfect car as it’s not too short for your status like hatchback and not even too long to get stuck in traffic. Ford has achieved the best of everything to make this car a perfect car that you can take everywhere. Well, we first wanted to take it out in heavy traffic and check the driveability and maneuverability. I took out this car in a heavy traffic in morning office hours. My office distance is around 20kms and as soon as I got into driver seat, the tall seating position made me very comfortable, but at the same time poking steering wheel made it uncomfortable. While I tried to adjust the seat to my comfortable position, I noticed the steering is much away from the dashboard compared to old Figo. To compensate that I adjusted backrest, but still there was something lacking which I never felt in my old Figo. As I ignored that part and turned the ignition on, I was impressed by the NVH levels inside the cabin. The company has really worked on the cabin comfort and has really improved on cabin diesel clatter. I went ahead from the chaotic traffic in the city. The way torque is delivered is very good for moving in slow traffic. 215 NM of torque and 100 PS of power punch pulls this car so swiftly on every road and as soon as you hit the turbo range, you can actually feel the power of 100 horses pushing you to close the gap you wish for. The spring of 0-80kmph is something that brings in an energy gush in you as the power delivery is fantastic. While doing this, I was impressed by the performance this engine offers and exceptional ride comfort, but at the corners I always felt the steering was too light and yes the body roll. Ride comfort and ride handling never goes hand in hand and the same happened to Figo Aspire. The company has provided fantastic ride comfort, but ride handling has been compromised to some extent. Being a tall car and having soft suspension setup, the car surely absorbs every bump inside the city, but, due to a softer suspension setup, alot of body roll is experienced. Electric power steering feels very smooth to operate, but the feedback lacks here. If you are a driving enthusiast, this car will impress you by the power delivery and the linear torque range, but it will also disappoint you by the way it handles. We drove this car in Mumbai city traffic to express highway and some urban roads covering 800+kms. The car was locked by Ford MyKey at 100kmph and hence we could not check the top speed of the vehicle. With a Speedo lock of 100kmph, the car was showing a fuel economy of 15.7kmpl in the instrument cluster panel. 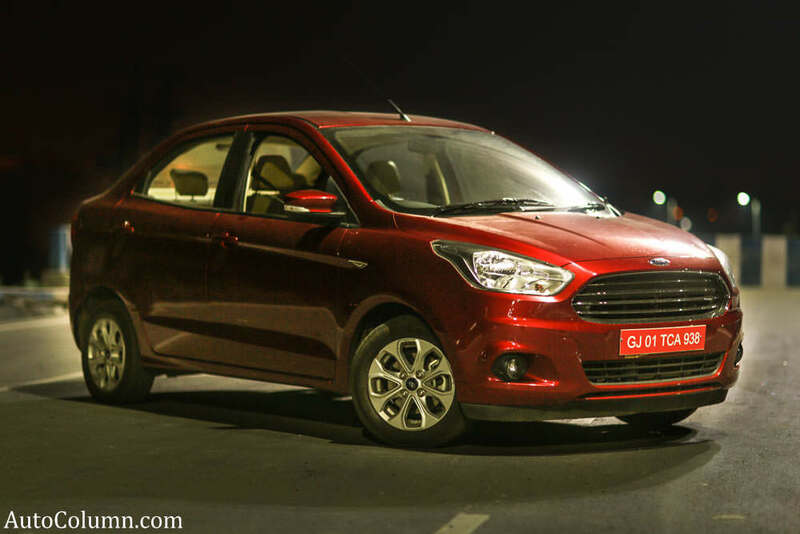 The earlier Figo platform was based on the Fiesta and hence the ground clearance was really low. With full 5 people on board, old Figo used to scrape its belly every speedbreaker. All new Figo Aspire has 174mm ground clearance to make sure the belly will not touch to the speed breaker. If you move a bit fast on speedbreakers and some typical slopes of shopping malls, you will always hear something in front is scraping and its not the bumper. Due to softer suspension setup the front and rear end of car dives and squats a lot, a small airdam fitted for aerodynamic purpose touches frequently touches the road and that is another improvement area we see in this car. All in all, Figo Aspire has marked its number 1 position in the compact sedan market by the looks, interior quality and space. Rear seat legroom, long drive, fatigue and ride quality are really good in all new Figo Aspire compared to its rivals. Ford cars are known as drivers’ cars (for those who like to drive), but somehow this car doesn’t fit into that definition. 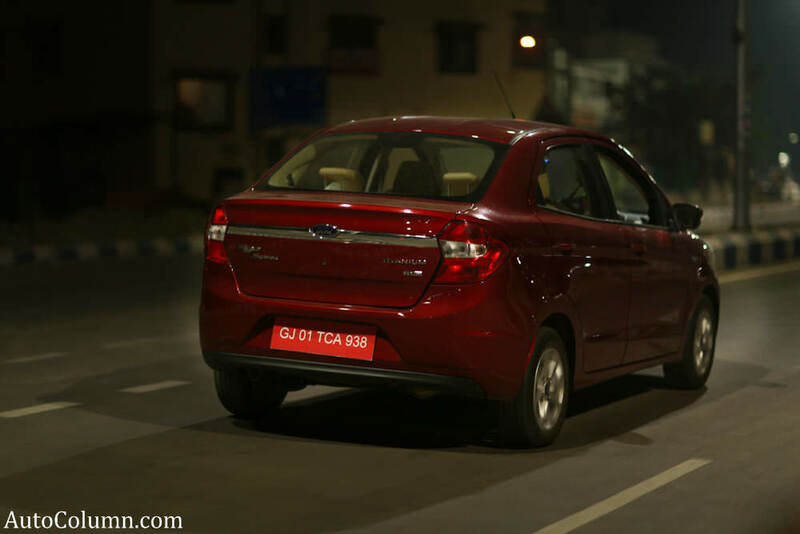 This car is superior and better compared to all its competition and hence getting to the excellent from good, better and best is what we are expecting, as new Figo Aspire sets its own benchmark. Diesel kinda has a really bad reputation nowadays… but in reality, it is actually pretty great for what it is designed for. It’s a shame that VW tarnished it’s reputation with that whole debacle.